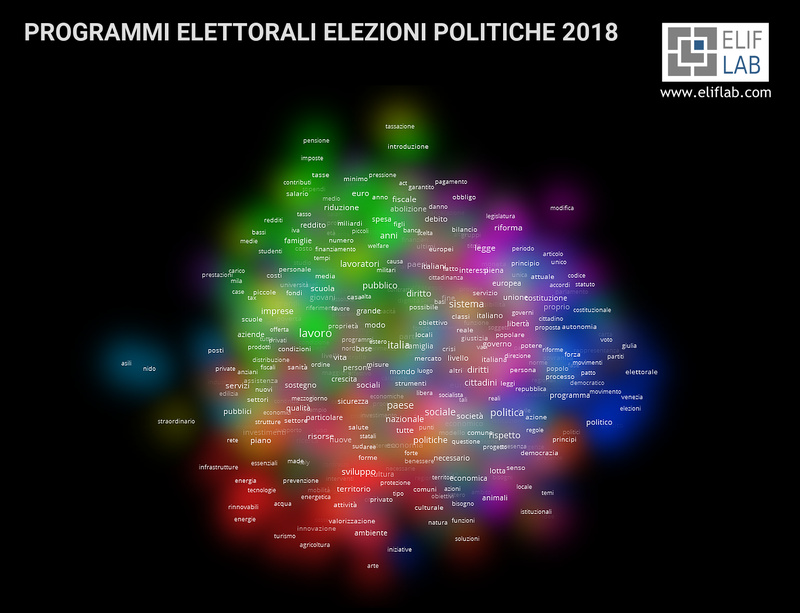 We analysed the electoral manifestos presented by the parties participating in the forthcoming elections on March 4th 2018. 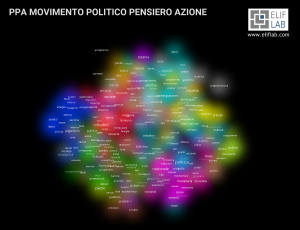 We downloaded all the manifestos from the Transparency section of the Ministry of Interior’s website (http://dait.interno.gov.it/elezioni/trasparenza). 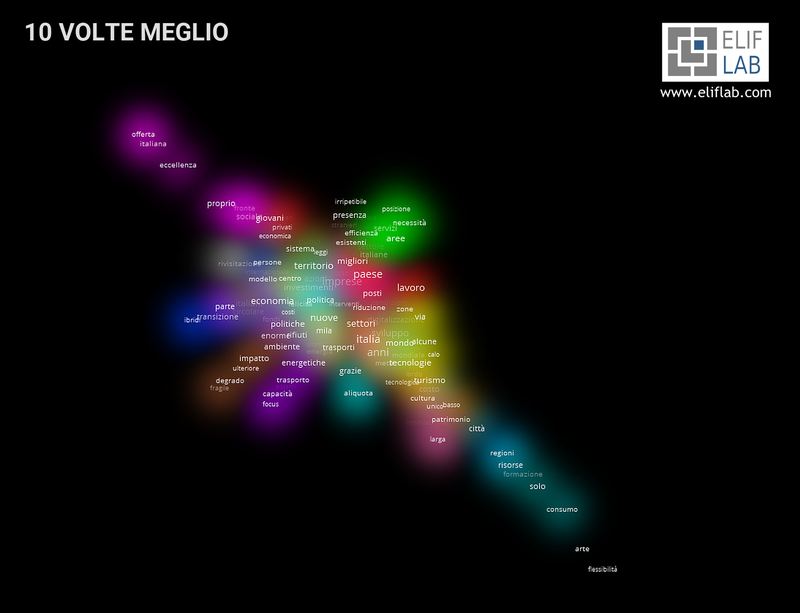 All the documents are in PDF format and we applied OCR recognition methods to extract and process texts, which we then cleaned through natural language processing techniques, dictionaries and stopwords lists. 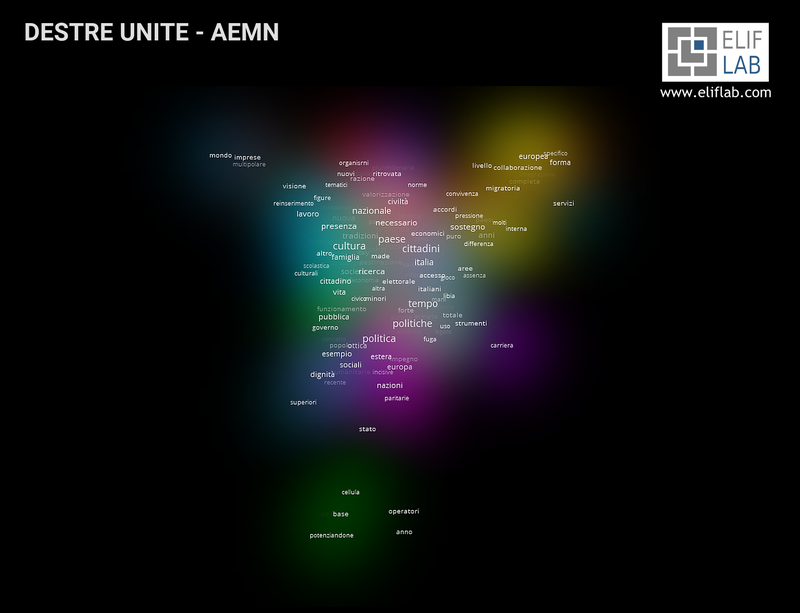 At that point we extracted words with semantic meaning (mainly names and adjectives) and created networks that showed us the co-occurrences between these words. 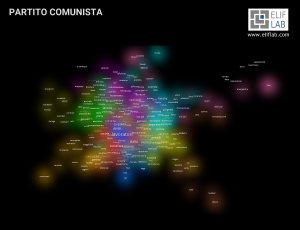 The maps below show us the clusters of words that emerge from each of the manifestos. 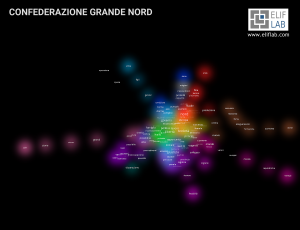 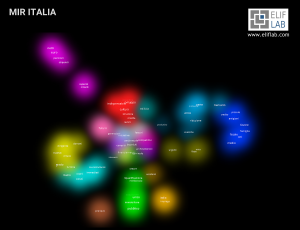 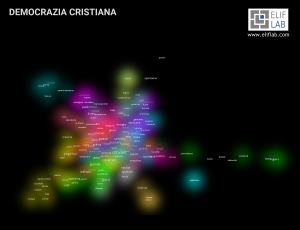 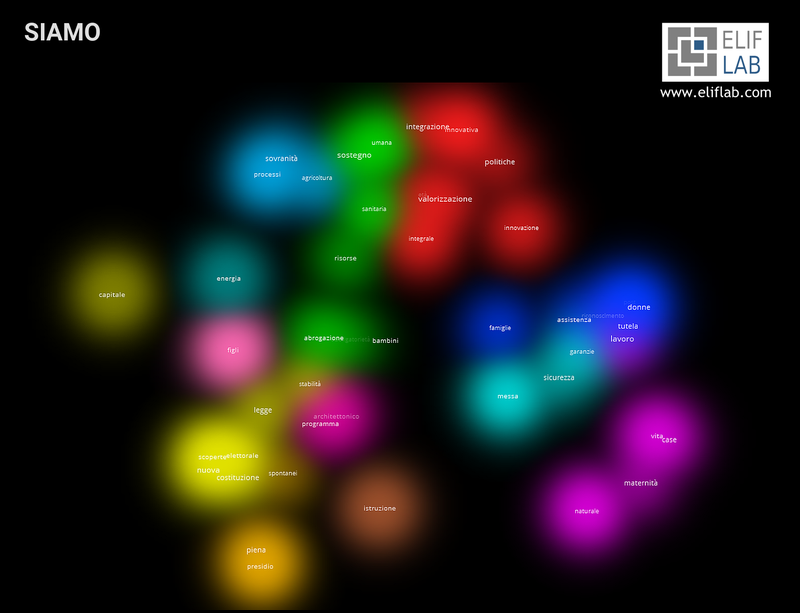 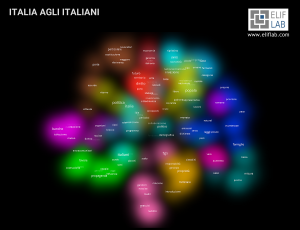 Colors represent individual clusters, so words used together within the document. Thanks to dimensional reduction techniques we can visualize each manifesto on a Cartesian space: the more words are close on the maps, the more we find them contextual in the documents analyzed. 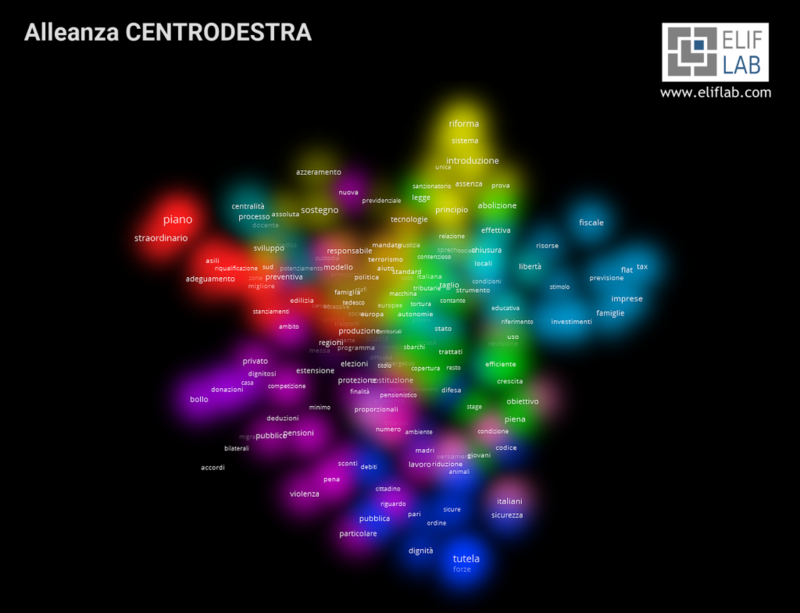 Not all manifestos have the same length (not all of them are therefore equally rich in textual content): this determines the presence of more or less dense maps of words. 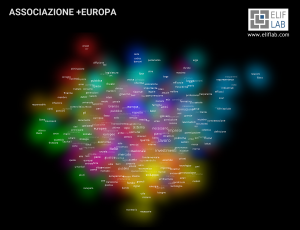 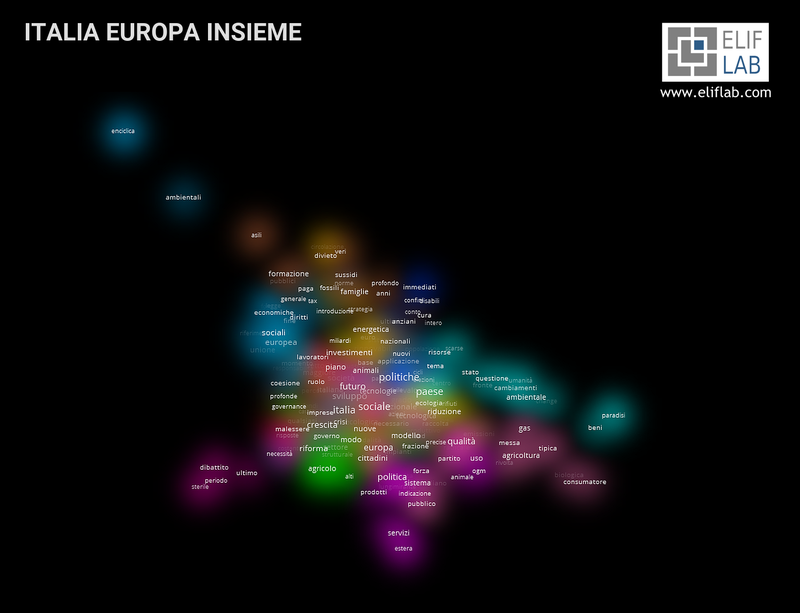 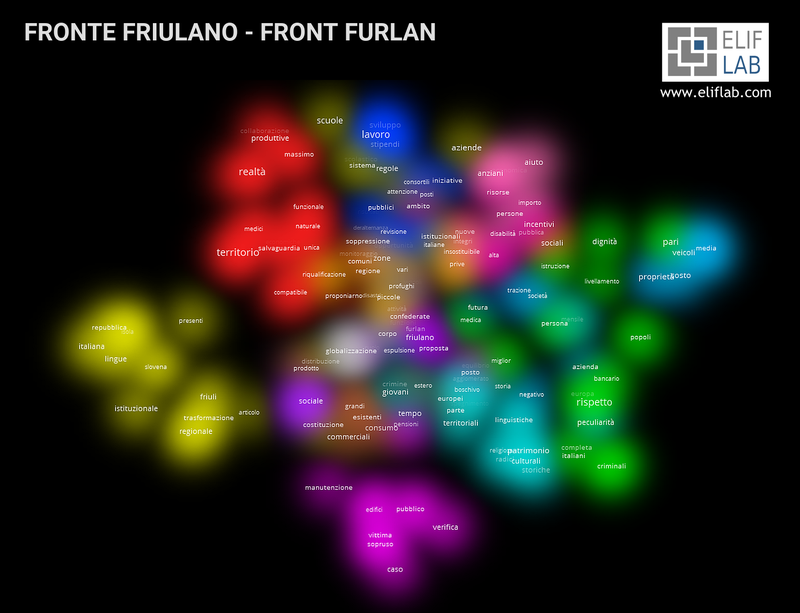 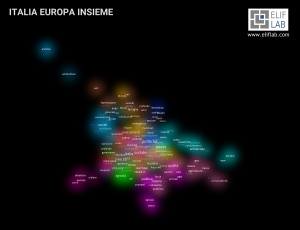 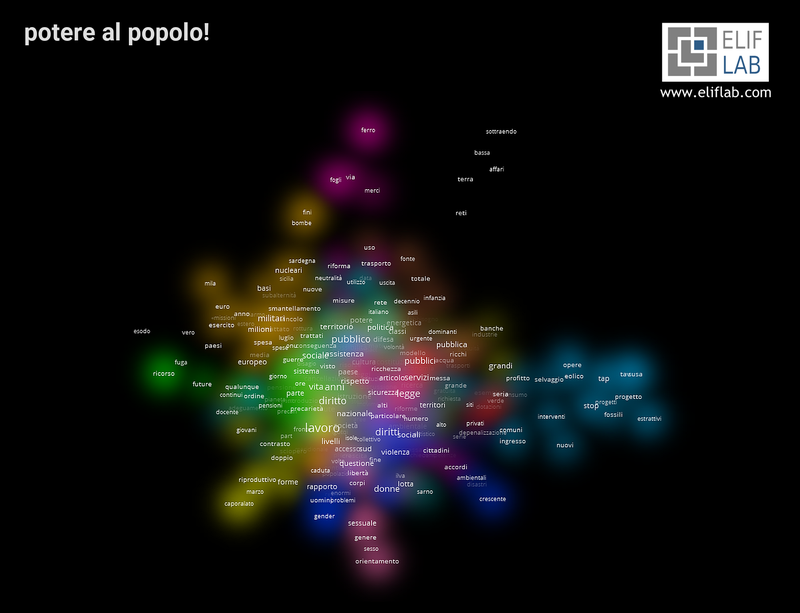 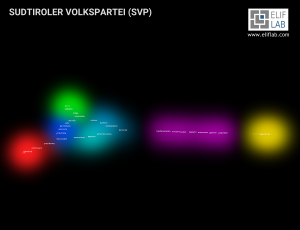 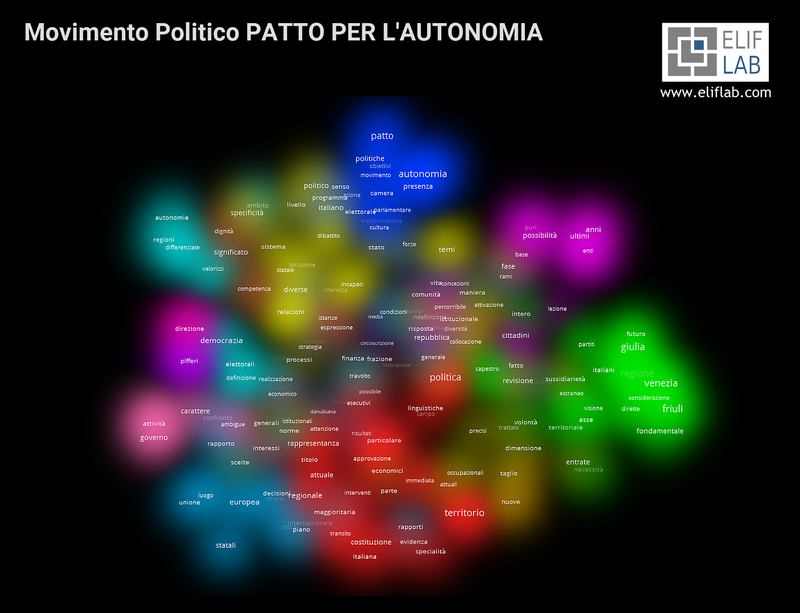 We chose here to represent a maximum of 600 words per political party (the most central in the network of the co-occurrences). 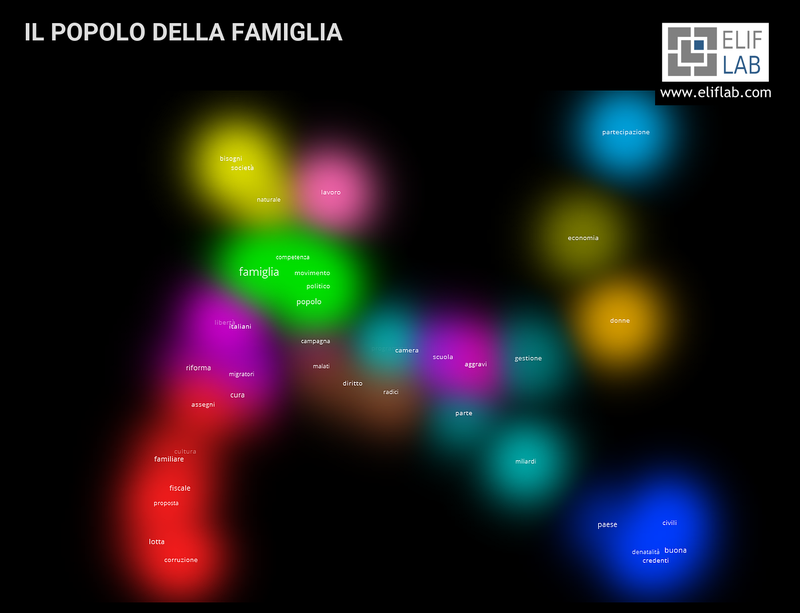 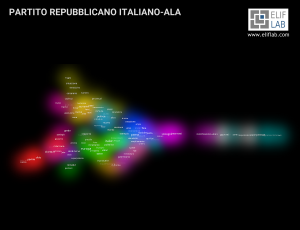 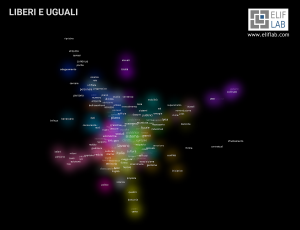 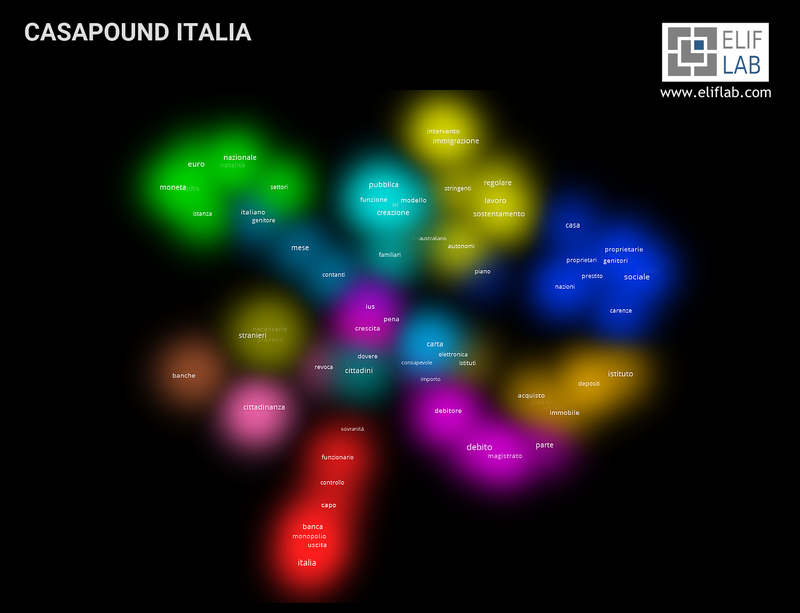 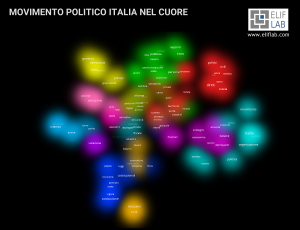 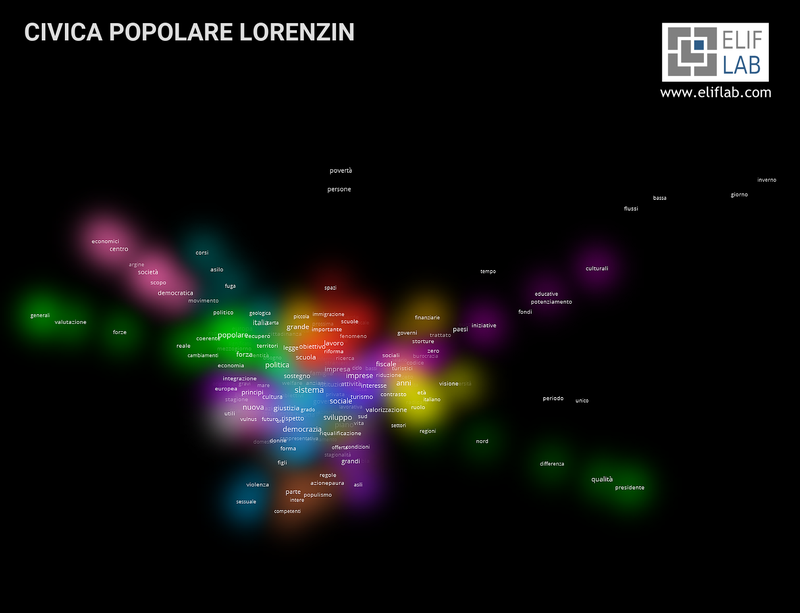 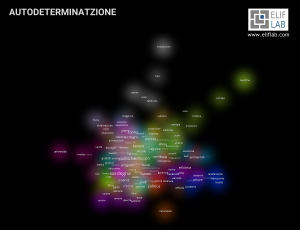 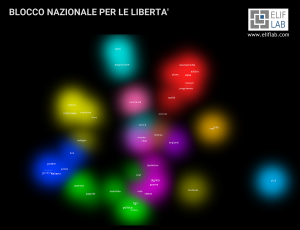 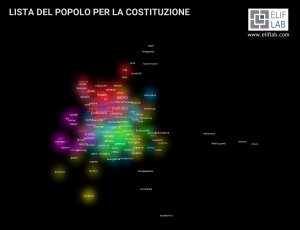 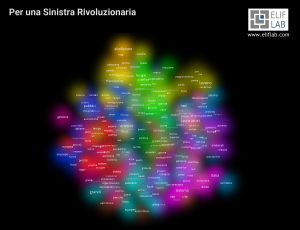 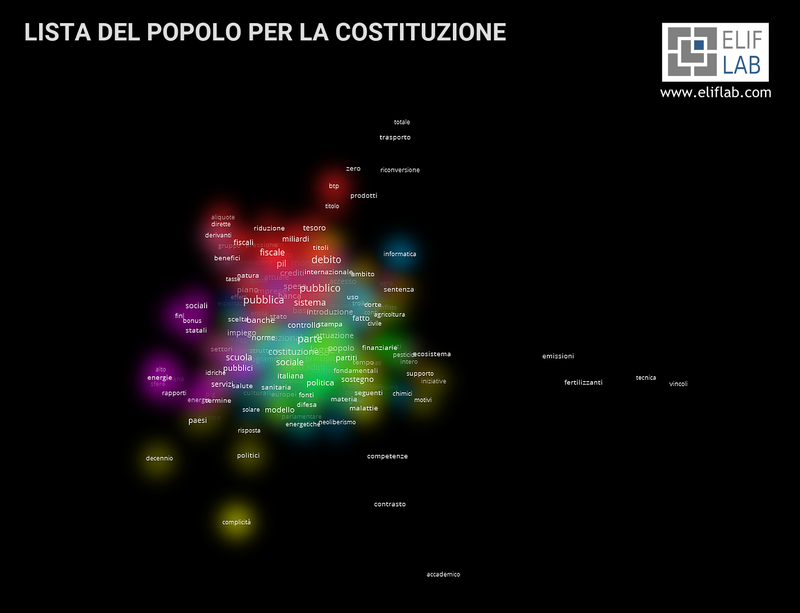 The 5 semantic maps shown below represent five parties belonging to the Left area (potere al popolo!, Partito Comunista, Per una Sinistra Rivoluzionaria, Lista del Popolo per la Costituzione, Liberi e Uguali). An area of regionalist parties, partly autonomist forces (Sudtiroler Volkspartei, Patto per l’Autonomia from Friuli Venezia Giulia, Confederazione Grande Nord) partly secessionist forces (Autodeterminatzione in Sardinia and Front Furlan from Friuli which is at the moment excluded from the polls). Moving to the Right, in addition to Casapound we find Destre Unite – Forconi and the coalition Italia agli Italiani (Forza Nuova and Fiamma Tricolore). 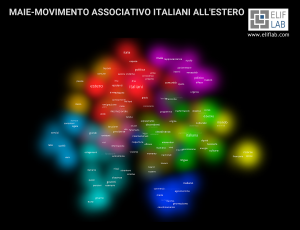 Opening the area of the centre-right moderates we have the MIR and the MAIE – Movimento Associativo Italiani all’Estero which competes to gain the vote of Italians living abroad.. The catholic area sees the historical symbol of Democrazia Cristiana, also mentioned by Blocco Nazionale per le Libertà, the Civica Popolare Lorenzin (allied with Partito Democratico), the Popolo della Famiglia and a new movement called Italia nel Cuore. The next 5 maps represent some free beaters, for different reasons difficult to place on a left-right continuum. 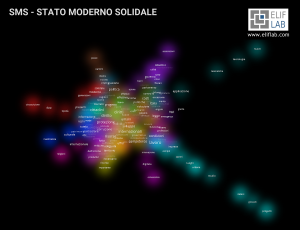 The new party of entrepreneurs 10 Volte Meglio, +Europa with Emma Bonino allied with Partito Democratico, the Movimento 5 Stelle, Siamo created by the no-vax Dario Miedico and the SMS Stato Moderno Solidale from Basilicata. 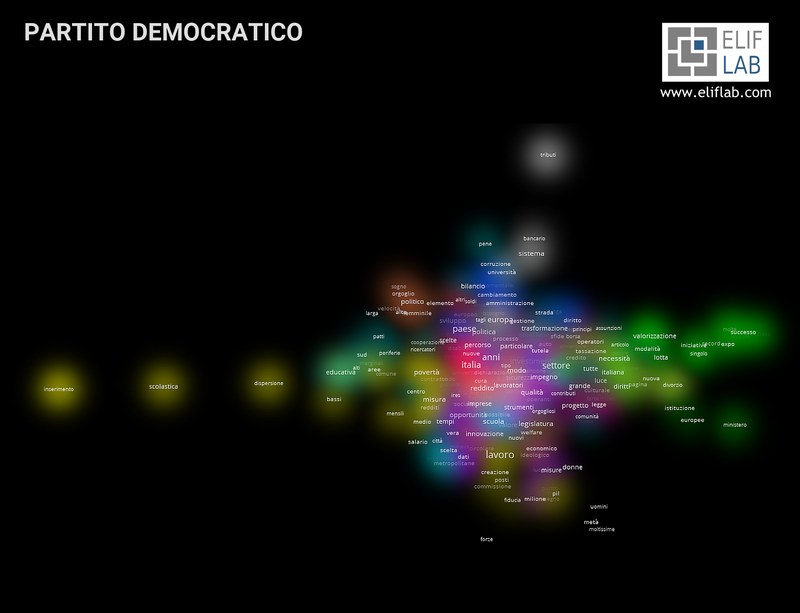 Here we show Partito Democratico and its allies from Italia Europa Insieme, Partito Repubblicano (allied with ALA), PPA Movimento Politico Pensiero e Azione (excluded, however, from the polls) and Partito Valore Umano. Let’s finish with the Centre-Right Alliance: Berlusconi’s Forza Italia, Salvini’s Lega, Fratelli d’Italia and Noi con l’Italia – UDC presented a single agreed document.